Ikaria embraces its visitors all year long and invites them to live as if locals. 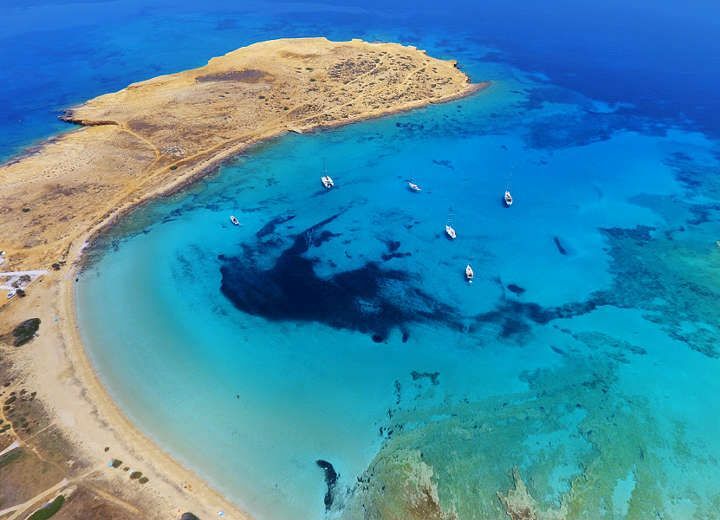 It is one of the largest islands of the Eastern Aegean Sea and one of the most unexplored. It is the ideal place for holidays and offers a number of activities related to the sea, hiking, climbing and wellness. The beauty of the island is unparalleled, you will be enchanted by the scenery and you will definitely appreciate the rich cultural heritage of Ikaria. It is the perfect combination of relaxing tranquility and frantic splendor definitely, it will satisfy your every wimp. You will also have the opportunity to find out the secret of longevity! Friendly Tip: Since you have to kill 23 hours if traveling with boat take a book with you... or all the episodes of your favorite series. Otherwise, you can go by plain easily and quickly. The first thing we are interested in is the sea, so we will start with the beaches of the island. The busiest is the sandy beach of Mesakti, stretching for miles, between Armenistis and Gialiskari, on the north side of the island, where you can also enjoy various water sports. Take the chance and take some surfing lessons. Another beach to visit is the famous exotic Seychelles beach, in the village of Manganitis, with crystal clear waters and the white granite rocks that surround it. 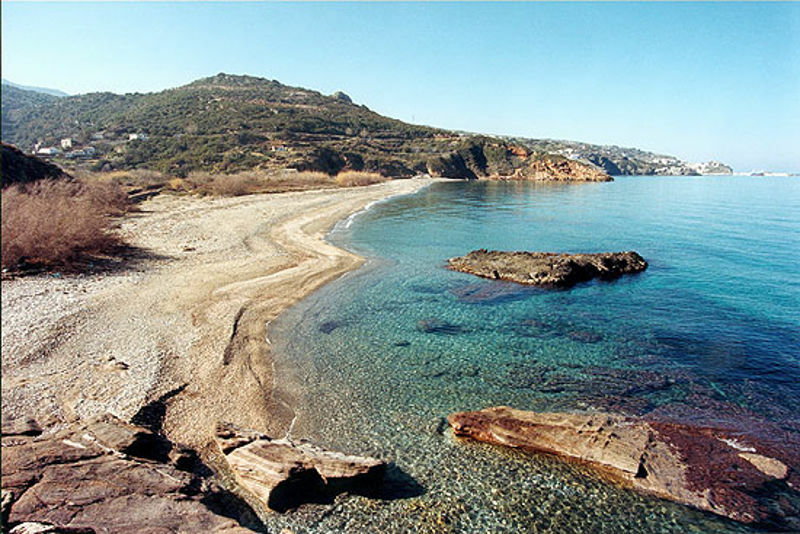 The bay of Nas is one of the most beautiful natural beaches of the island that should not escape you attention for as long you are in Ikaria. From there you can see the ruins of the temple of Artemis Tavropoulos, while the green gorge of the river Halari and the lake formed by its waters, behind the beach, make up a magnificent view for the visitors on the north side of the island. On the south side of the island, there is the very long beach of Faros, suitable for the days winds are not favorable, ideal for families and for diving enthusiasts. Continuing to the south you will encounter Anaphanthi, Nifi, Kerame with its plane trees and Nealia with the huge volume of Demonopetra, a place of worship in antiquity, as well as the Cove of Sanctuary, a sandy beach with lush vegetation and the cave where it is believed that the god Dionysus was raised. The thermal baths in Therma exude the charm of more vintage times. The well-known healing springs of the island, rich in radon in a quantity that makes them the world's first, are all you need to spend a relaxing day bathing in their waters. Hidden here and there in Ikaria are the green oases, oak forests, slopes and ravines, canyons and rivers, and naturally many paths well-marked for active hikers. 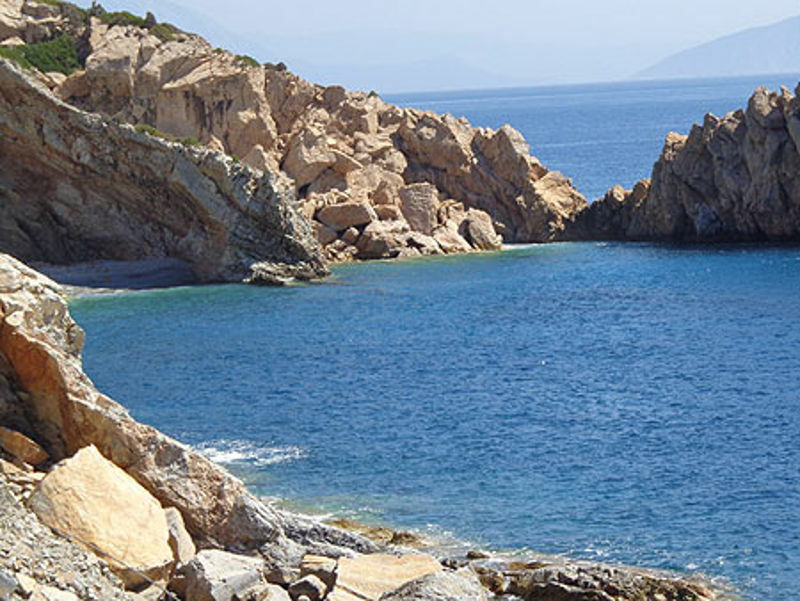 Apart from the relaxing ones, who want to spend their day sleeping and enjoying the beach, Ikaria is ideal place and for the most energetic, those who do not miss a hiking trip. The Rachon Tour is the most known and popular hiking route of Ikaria, 25 km in length, but there are many choices: crossing the Mavratos - Pounta ridge, the Arethousa - Dokimi - Chrysostomos trail. Also, the Chalaris River marks the route that passes through the homonymous gorge and reaches up to Raches. Following the red marks, you walk about half an hour on the trail until you meet the imposing cascade surrounded by whitewashed rocks and dense vegetation and end up in a green pond that rocks. 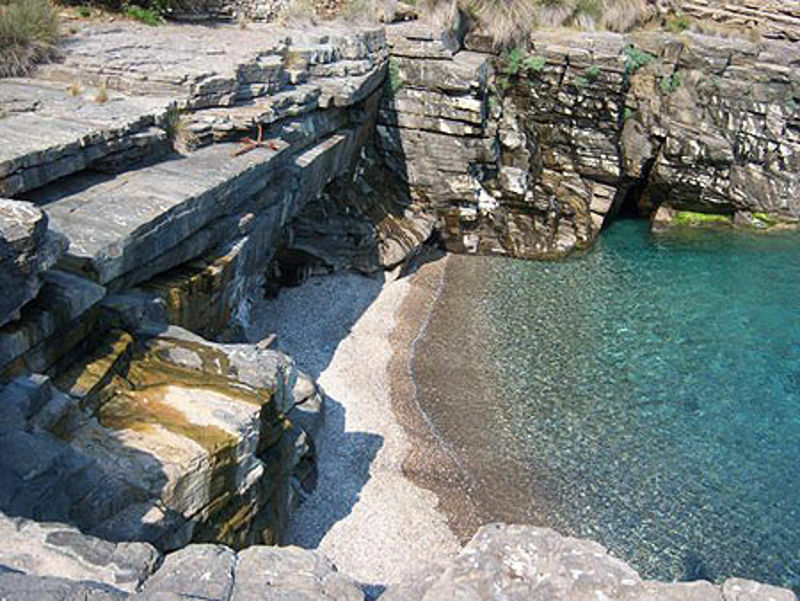 Ikaria is very rich in historical heritage, as evidenced by monuments and various finds from archaeological excavations. Very important are also archaeological and folklore museums, which contain exhibits concerning the everyday life and the way of life of the island's inhabitants, from antiquity to the newer years. The Drakonos Tower, near the village of Faros, is one of the most remarkable monuments, from a architectural point of view, it is a great work of art considered to be one of the best preserved towers in the Aegean Sea. To have fun two are the main points of attraction, the villages of Christ Rahis and Akamatra. Christ Rahis is, let’s say, the capital of the island. It is a beautiful village that wakes up the long hours since it is the heart of the nightlife in the island, with bars for every taste and bands that give the musical tone of the island. It attracts mostly youth who either returns or goes to the nearest fair and it is perfect for evening drinks and even evening shopping. Akamatra is more relaxed than Christos Rahis, but it is suitable for the hours when the sun is still high, drink your coffee there and walk to your hart's contempt. The alternative Akamatra with the old oak tree, built in the green valley of Messaria, hosts the most beautiful taverns on the island, and some more underground bars. And for the party animals... you will surely be delighted at the festivals that are tradition in Ikaria. What you definitely need to know is that you will definately dance! You can find more than one festivity a day. You can go to all three, is there plenty of time . Everyone visits Lagada Festival on the 15th of August and it is quiet crowded but you have to go too . Perhaps the best festival is this in Platani. An equally fantastic one is that of Franta. In Kares you will live as if locals. The same goes for Karkinagri. Ikaria is the ultimate gastronomic destination. Here you will discover recipes and food with a history worth of centuries. You will find out what the local Icarians are eating well and live a good many years, they are healthy and cheerful and always have fun . 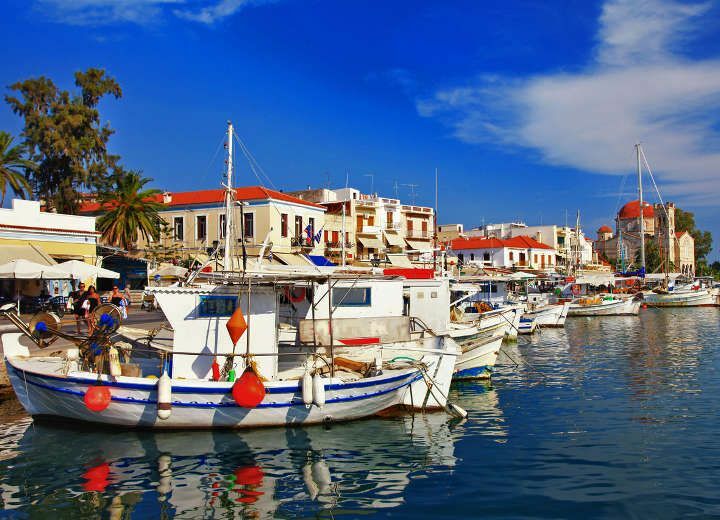 In the restaurants and taverns that you will visit, do not miss out on the famous local fish products, the goat's cheese, raki, the famous souffiko, various pies, local sweets, honey, ouzo, local soft drinks and, of course, local wine, the Pramenio Wine. As for the big secret of longevity: eat well, smile daily, not stress, walk and enjoy life!